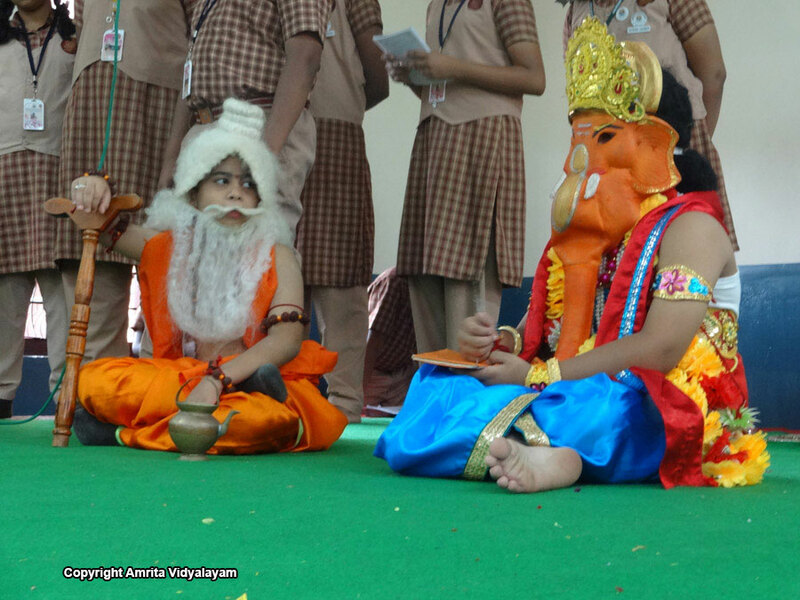 According to the Hindu calendar, Ganesh Chaturthi is celebrated in the Bhadrapada month on Sudha Chavithi. 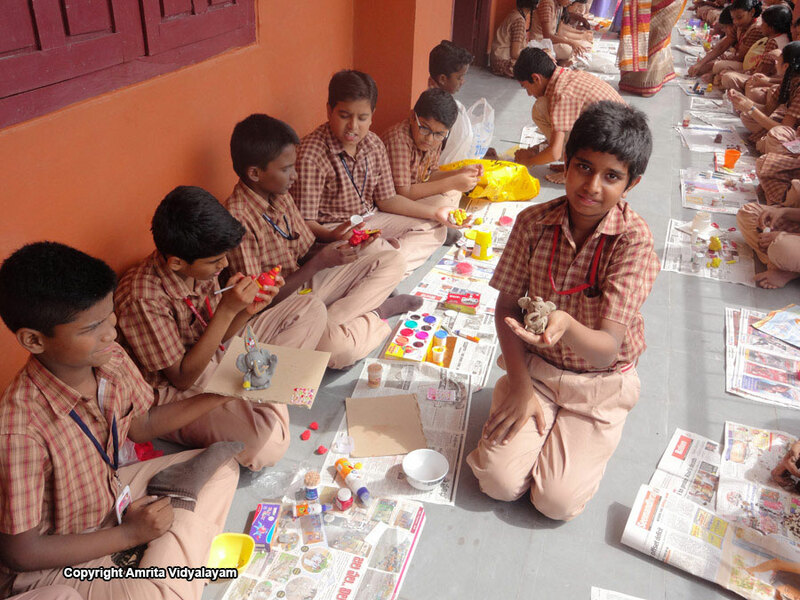 Students made Ganapathi masks and idols of Ganesha out of clay. 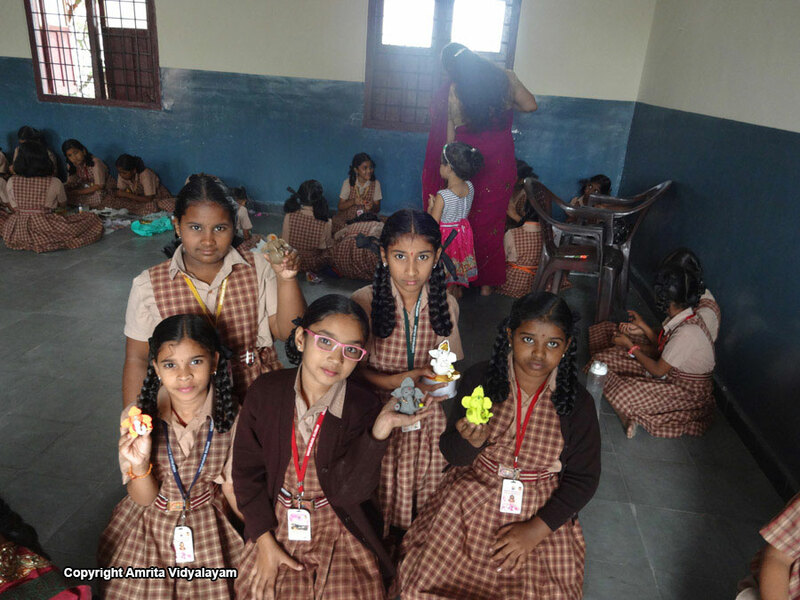 To conserve the ecosystem, teachers insisted that the idol should be made of clay. 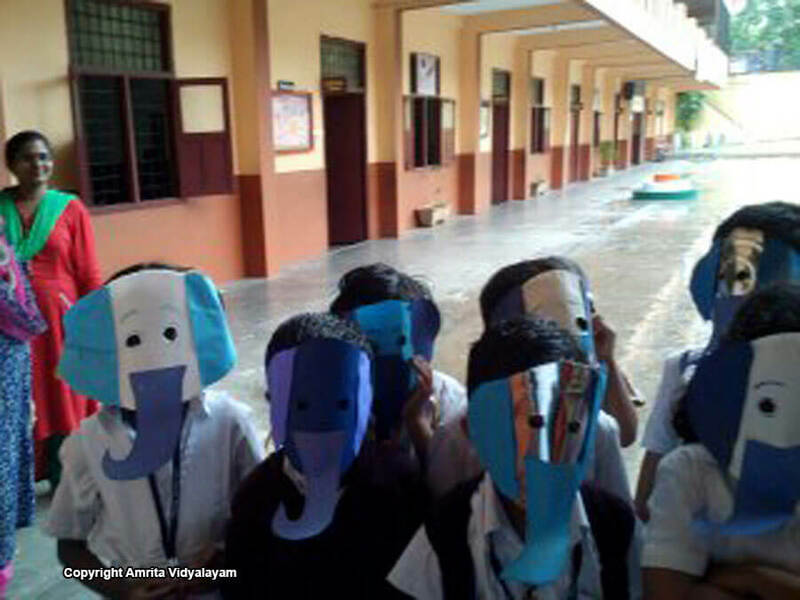 We, the students of Amrita Vidyalayam took an oath to conserve and protect Nature.